Are you sick and tired of your Redfin Estimate or Zillow Zestimate being too low? 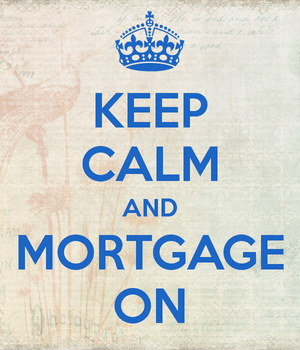 Do you feel your property is worth much, much more than they say it is? Well, I’ve got great news for you! 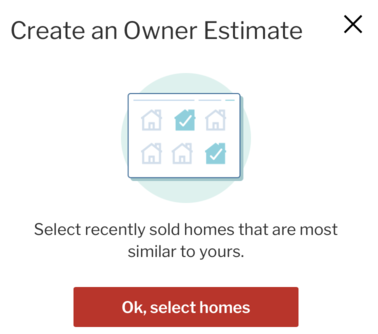 Redfin has introduced the “Owner Estimate,” a new tool that gives the appraiser reigns to the homeowners themselves. Instead of letting that pesky algorithm scare off potential buyers, you can get your hands dirty and tell the company (or its computer) why your property is actually worth a whole lot more than the “most accurate online estimate for on-market homes,” per an independent study by SSRS. Of course, it’ll still rely on some “core machine-learning” to get the job done, but there’s a chance you can generate a higher value than what the company yields on its own. And best of all, you can feature the Owner Estimate on your property page for all to see, right above the Redfin Estimate (which you can incidentally hide). Even better, you don’t have to make the Owner Estimate publicly visible if you don’t like what it comes up with, so it’s basically a win-win. It’s a pretty simple and straightforward process. Once logged in at Redfin, you begin by searching for your property on their website. This will populate a Redfin Estimate for said property, along with some public facts like square footage and number of bedrooms and bathrooms. Simply click on “Create an Owner Estimate” to get started. You can edit home facts if you feel they aren’t accurate, or add photos to your listing. Then you’ll need to select comparable sales, like a real estate appraiser would, to come up with a more reflective value for your own property. As you select homes from the list, you can actually see your Owner Estimate go up and down in value. So to some degree it seems you can game the estimate a bit, though it doesn’t move the dial very much. My assumption is most people will pick the most expensive comps, but there certainly could be a legitimate reason for doing so. For example, if your property is located in a city that is close to a less desirable one, and a bunch of comps are being used from that other city, you can choose only comps in the actual city it’s located in. This could mean completely different school districts, zoning rules, and an entirely different feel to the neighborhood. The same goes for certain streets and blocks. If a comp is being used on an adjacent street, but it’s a through street and/or located next to something funky, it shouldn’t be treated the same. Anyway, once you select your comps (there doesn’t seem to be a limit, though you can only choose from what they have listed), you can hit “save” and proceed to make your Owner Estimate public. Or keep it private, but saved nonetheless. You also have the option to update your Owner Estimate whenever you choose. So if new homes sell nearby, you can make necessary changes in the future. Ultimately, in my brief experience tinkering with it, the Owner Estimate only diverged from the official Redfin Estimate by about $10,000, or ~2%. In other words, it’s probably not going to be very meaningful for most folks, especially since prospective buyers will see that it’s your estimate, which isn’t all that objective. But there might be situations where the Redfin computer completely gets it wrong, in which case this free tool could prove to be quite helpful if/when you list your property for sale.